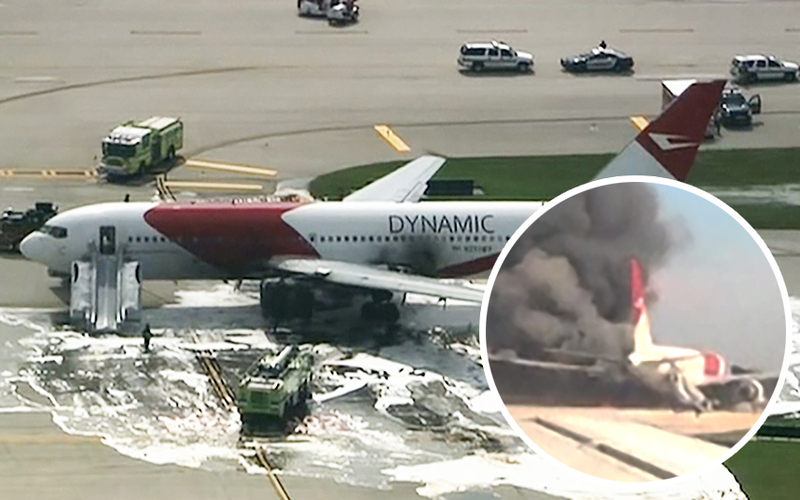 The Federal Aviation Administration said a Dynamic Airways plane caught fire Thursday afternoon while taxiing for departure from Florida’s Fort Lauderdale–Hollywood International Airport. Dynamic Airways Flight 405 was headed to Caracas, Venezuela, when it encountered an engine problem. An aircraft taxiing behind it reported fuel was leaking from the plane. 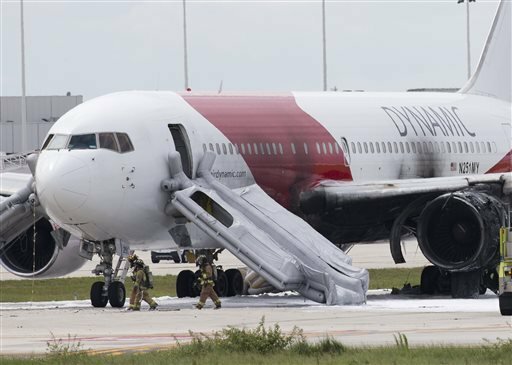 The FAA said the Boeing 767 caught fire around 12:45 p.m. EDT. 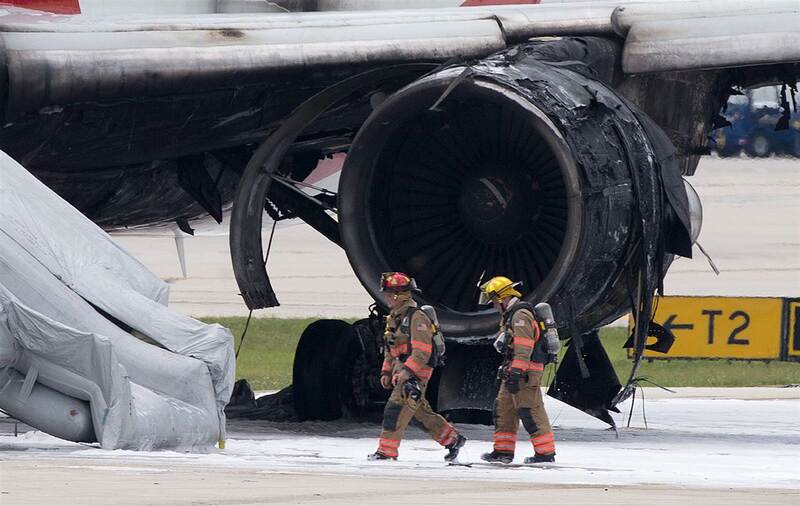 Fort Lauderdale–Hollywood International airport was closed until 3:15 p.m. due to the fire. The airport’s website lists the south runway as operational while the north runway remains closed. Dynamic Airways is a commercial jet charter service based in Greensboro, North Carolina. Each of its planes seat up to 218 passengers but there were only 101 total passengers and crew members on Flight 405 at the time of the fire. Passengers were evacuated via slides onto the taxiway. A Broward County fire department official told MSNBC that 14 people were transported to the hospital with non-life-threatening injuries. “First off our passengers’ safety is of the utmost importance to us,” a Dynamic Airways spokesperson told CNBC. The airline expects to operate on schedule starting Friday, Oct. 30. Pratt & Whitney is a division of United Technologies. Boeing also released a statement in which it said it would be providing technical assistance to the National Transportation Safety Board in an investigation of the Dynamic Airways incident. According to a report by NBC News, the plane is almost 30 years old and was first used in by Kuwait Airways in 1986. It has been owned by several other airlines since.